The Geometrics artists trained in Textile Design and work with their tactile knowledge to create films, sculptures, textiles and garments, both analogue and digital. The work has been shown at the Hayward Gallery, Victoria & Albert Museum and the Science Museum (UK) indicating the diversity of context, narrative, nuance and cultural meaning. The Geometrics were founded by Dr Emma Neuberg in 2011 as part of her post-doctoral research into Timeless Textile Aesthetics, a project that continues to grow exponentially with social enterprise, The Slow Textiles Group, and originating from her research and consultancy for TED at University of the Arts, London. The first The Geometrics meeting took place on 8th September 2011 with members and guests of The Slow Textiles Group, including Tanvi Kant MA RCA, Bridget Harvey MA UAL, Emma Lundgren MA RCA and Alison Willoughby MA RCA, where the future of textiles for British textile design graduates was discussed. The outcome of the first and consecutive meetings is the continued promotion of textile design as practice, discourse, cultural enterprise, community and national and international identity. One month later, Emma Neuberg and curator Daisy McMullan worked together on the Artists-in-Residency programme, AA2A, at Chelsea Camberwell and Wimbledon Colleges of Art. The parallels and overlaps in their work, vision and research cemented The Geometrics as a live project that the McMullan Neuberg partnership nurtures, supports and drives forward. With their focus, shared vision and management, The Geometrics launched The Geometrics: Volume 1 exhibition, book and public programme on 19th April 2013. The First Edition of Volume 1 (print edition) is now SOLD OUT. An electronic version is available to download here. 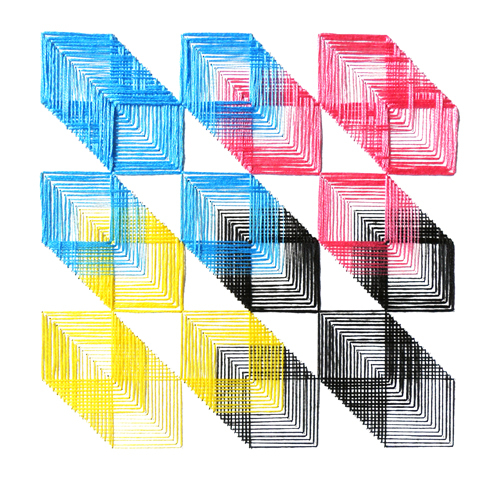 The Geometrics: Volume 2 exhibition, book and public programme opens 27th June, 6-9pm, 2014. Further details here.